Ever hear a song that just makes you feel good? How about an entire album? The lyrics, the voice, the instruments playing somehow touches you with a mixture of emotions. This is exactly how I felt when listening to the album, Lights of Distant Cities by Bebo Norman. I'd never heard of him before, I don't know how that happened, but I instantly became a fan after listening to this album. Whether you're a Christian or not, have faith or not, this album will definitely touch you where you can relate to a song or two or all of them. Not to mention this guy's voice. It's amazing. This album has eleven songs and trust me, you won't want to skip any of the songs. It was hard to choose, but my favorite had to be Collide. It's a song that's now on my playlist and one I've been listening to over and over again for the past couple of days. Check out the video of the song below. Throughout Bebo's seventeen years as an artist, he has been applauded for laying it all on the table with his lyrics and musical vulnerability. Lights of Distant Cities is definitely an album worth listening to and sharing to your friends. To find out more about Bebo Norman and his music check him out on his website, Facebook and Twitter! Disclosure: All opinions are my own. 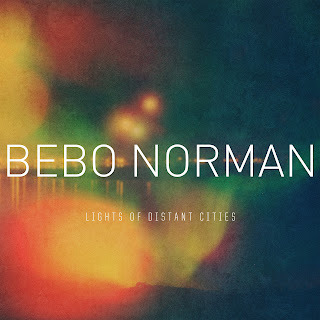 I received Bebo Norman: Lights of Distant Cities for the purpose of this review. No other compensation was received. Thanks to the PR company for the giveaway prize.